“Let thy food be thy medicine and thy medicine be thy food.” — Famous words from Hippocrates, the father of modern medicine. Hippocrates was born 460 B.C., so it’s clear the concept of good food for good health is nothing new. As I read his famous quote I know what he’s getting at, but the cynical side of me can’t help but wonder if he ever thought eating healthy was like taking medicine… hard to remember, sometimes hard to understand and done on doctor’s orders. As part of my series on the four major taste groups, we’ve seen how the flavors of salt, sweet and bitter can make vegetables delectable, so this week we’re examining the final taste frontier of sour. The number of naturally sour foods is actually a bit slim. The best examples are citrus fruits, fermented foods and dairy products. Surprisingly I couldn’t find a vegetable whose taste is naturally sour. Enjoying vegetables with a sour flavor is going to be extra fun because that means we can add anything we want to produce the taste of sour. Sour foods generally have an acidic mouth feel and can actually help increase saliva production to aide in digestion. They’re great palate cleansers, and lemons in particular have the unique ability to contribute to the alkalinity of our body’s acid/base balance. As a dietitian I often hear concern about the negative effects of the “acidic Western diet.” The concept isn’t exactly backed by the most convincing science, but the overall idea is that the Western diet tends to be too high in protein, fat and sugar, leading to a subtle flux to the acidic side. Some hypothesize that this acidic shift can increase vulnerability to disease. The pH of our blood does not stray far from the optimal range because we have a number of safeguards in place — mainly buffers in our cells and regulators in our lungs and kidneys. However, our pal Hippocrates may have been on to something when he talked about food being medicine. Turns out, eating lots of fruits and vegetables actually adds alkalinity to our diet. The concept of an acid/base balance is much like yin and yang: You need both ends of the spectrum, but you need them in the right amounts. Eating too much protein, fat and sugar is not good for a number of reasons, one being a potential increase in acidity. Currently we’re not certain of the relationship between acidity and disease risk. However, we do know that too much acidity requires your lungs and kidneys to do more work to bring your pH back to the optimal range. So eating a steady supply of fruits and vegetables, especially sour tasting choices like lemons, can keep our bodies in prime working order. Add vinegar to a warm cabbage salad for an element of sour. Place thin slices of lemon in-between roasting potatoes or root vegetables. Use yogurt as a base for vegetable dips like dill, ranch and Tzatziki, which is great with cucumbers. Toss preserved lemons into a vegetable pasta dish, chutney, salsa or even tuna fish. 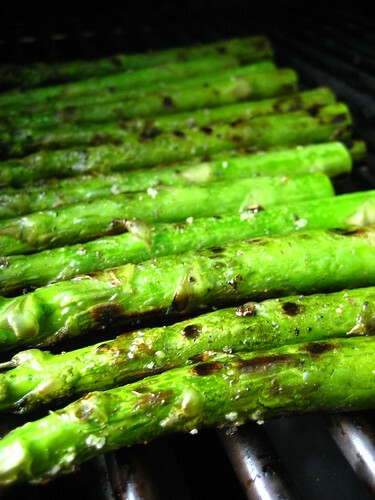 Try this lemon asparagus recipe to enjoy a fabulous spring vegetable. Wash asparagus and break off the tough ends. Drizzle with olive oil. In a separate bowl, combine lemon zest and 1 teaspoon of salt. Mix together until crumbly. Rub zest mixture into the asparagus and place on a grill set to medium heat. Grill for about 5 minutes before turning. Once turned, grill for another 5-10 minutes or until tender. Top with pepper and lemon juice before serving. I hope you’ve enjoyed our exploration of flavor and learned a little something about your own taste preferences along the way. Thanks for reading!